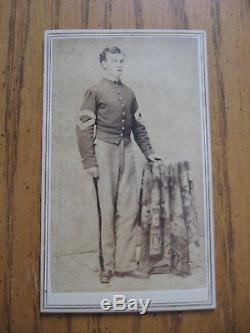 FINE CIVIL WAR CDV IDED IN PERIOD INK AND SIGNED ON BACK NAT F BARRETT SERGT. 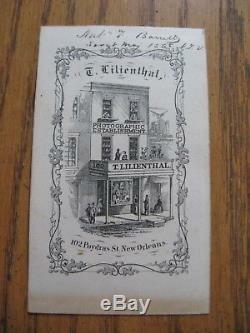 THIS HAS A GREAT NEW ORLEANS BACKMARK. The item "CIVIL WAR SOLDIER CDV IDED NAT BARRETT SERGT MAJOR 156TH NYV, GREAT BACKMARK" is in sale since Tuesday, March 13, 2018. This item is in the category "Collectibles\Militaria\Civil War (1861-65)\Original Period Items\Photographs". The seller is "hourglassaef" and is located in Apalachin, New York. This item can be shipped to United States.